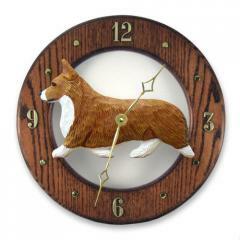 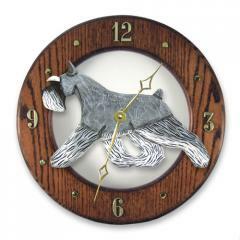 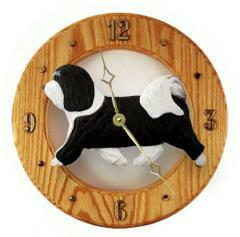 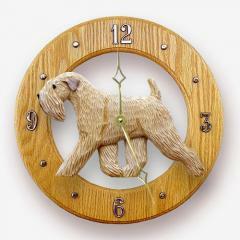 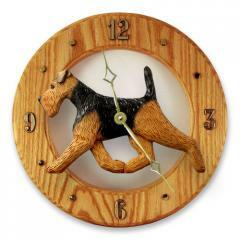 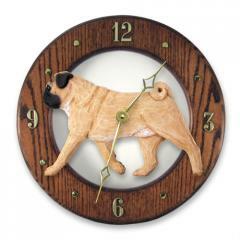 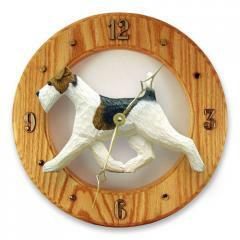 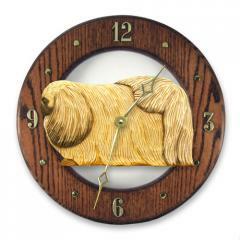 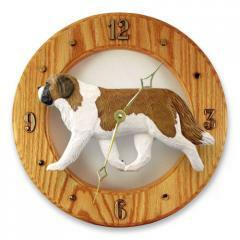 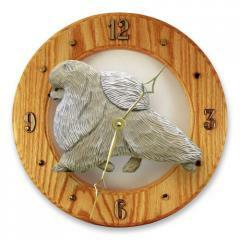 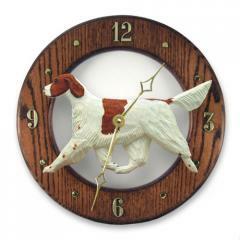 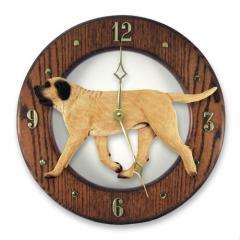 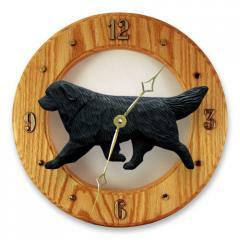 Dog Breed Wall Clocks from our favorite woodcarver. 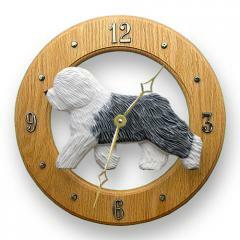 Hand crafted solid oak dog breed wall clocks. 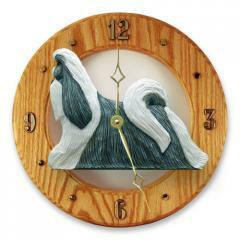 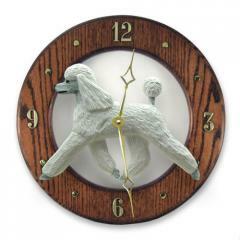 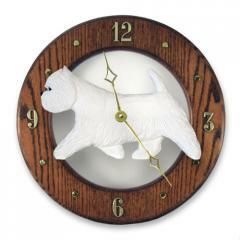 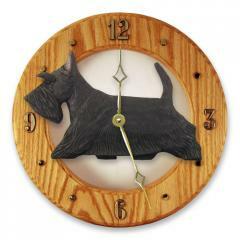 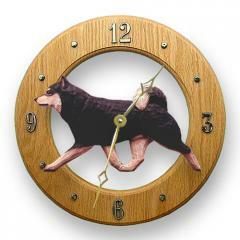 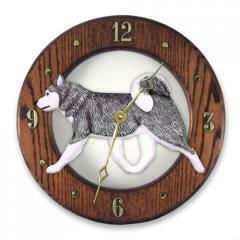 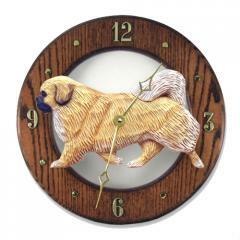 These Dog Breed Wall Clocks feature a 2-dimensional resin dog breed reproduction of an original wood carving. 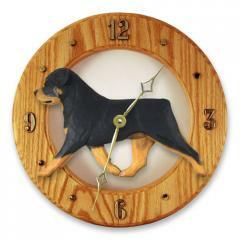 Accented with gold-plated numerals and hands. The reliable Quartz movement requires a single AA battery (not included). 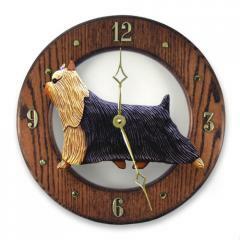 Great for the home, home office or even in the kennel setting. 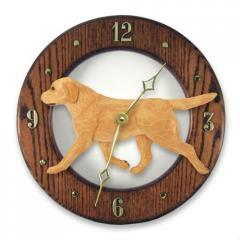 Wall clocks are available in light oak finish or dark oak finish. 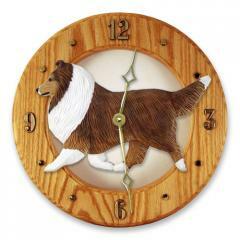 The clock measures 12 3/4" in diameter X 3/4".